70% of Indian population is desperate for Agrarian Reforms - Where does this lie on BJP's priority list? Agriculture and allied sector engage and employ 150 million rural households constituting 70% of population. The reforms of 1991 touched every sector in the economy, but not Agriculture sector. The Indian farmer, mostly small and marginal, is the most cursed human being on the earth. From the sowing to marketing of his produce, he is vulnerable to vagaries of nature and is subject to bureaucratic controls. 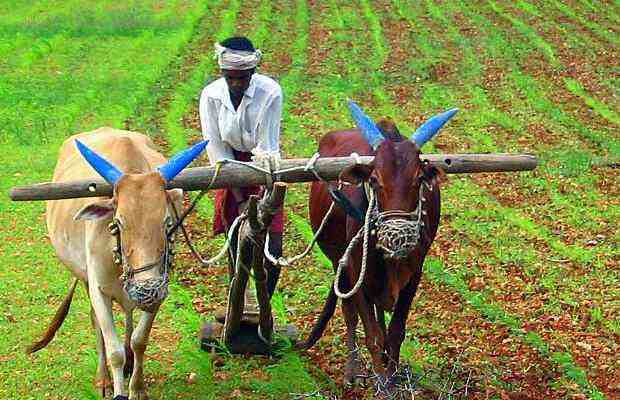 Today, villagers have infrastructure in terms of roads and education and are able to get mobile and internet connection, but their mainstay of agriculture is still burdened with huge system of controls in entire farming activity chain and there is no ease of doing Agriculture. With looming Agrarian crisis across the nation, farmers suicides are spreading to north from south. There is an urgent need for total liberalization and modernization of Agriculture through Reforms which would lead to increasing its productivity and good remuneration to farmers through better isk management and technology infusion. BJP ought to have given top priority to Agriculture Reforms. But, DNA of BJP is as such not geared for agriculture and farmers. Unfortunately, Modi has not chosen right man for Agriculture Ministry. If BJP doesn't implement Agriculture Reforms in present agrarian crisis, it can forget the support in 350 farmer dominant Lok Sabha. The effort on Land Bill without implementing Agrarian Reforms is like putting the cart before horse. Indian Exponent: 70% of Indian population is desperate for Agrarian Reforms - Where does this lie on BJP's priority list?